What's the most important thing when it comes to arc flash protection? Some argue it is PPE, some argue that's it is training but another group of individuals would say that where you need to focus is on elimination. One way to get closer to this is by the use of high resistance grounding. High resistance grounding has been around for a while now but most people still don't seem to know what it is or how it works. Without getting into all the details (I'll try anyway) high resistance grounding is a way to limit the amount of current that a ground fault creates. If you can limit the amount of current, then you are going to limit the amount of arc flash incident energy available if an arc flash were to occur. But what about a 3-phase bolted fault? Well, probably 90-95% of arc flashes are caused by phase-to-ground faults. These are the faults that high resistance grounding is going to effectively eliminate (because the current is so low now). The other 5-10% is going to be three-phase-bolted faults and totally destroy all your equipment. But when it comes to safety you need to look at the statistics. Do seat belts work 100% of the time... no, but everyone seems to accept that they are getting us a lot closer to safety than we were before seat belts, and therefore are a good thing. That's how you need to look at high resistance grounding. How does HRG actually work? I guess I lied... it is kind of technical... sorry. First, you need to have a delta-to-wye transformer configuration where the neutral of the load side is connected to ground. What you do is install a resistor between the neutral and ground and you've got a high resistance grounded system. So now that you've got the resistor installed you can feel a lot better about the safety of your electrical workers because the odds of them being exposed to an arc flash has been greatly reduced. You still need to account for that 5-10% of the time that the three-phase fault occurs so it won't change the rating on your labels but you've just reduced the likelihood of an arc flash happening by a significant amount. I'm sure there are a lot of companies out there but the one I'd start with would be I-Gard. They've been around a long time and doing high resistance grounding for many years. Check out their website here. 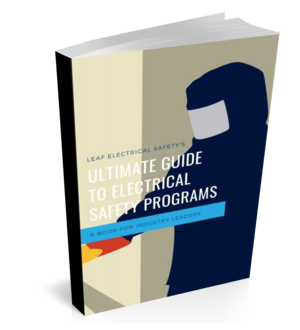 Hopefully, after reading this you can see the benefits of high-resistance grounding and at least take a look at getting it installed on your system to reduce the likelihood of a catastrophic arc flash happening.